Human history is a history not only of cruelty, but also of compassion, sacrifice, courage, kindness. What we choose to emphasize in this complex history will determine our lives. If we see only the worst, it destroys our capacity to do something. If we remember those times and places - and there are so many- where people have behaved magnificently, this gives us the energy to act, and at least the possibility of sending this spinning top of a world in a different direction. Yesterday I received an email from a friend and artist extraordinaire; he was getting ready to sculpt a commission on the theme of peace. He went to my blog in search of peace and commented on the lack of. Therefore this blog is dedicated to peace within my extended village family of Harford Village. Peace is walking down the village road calling out people’s names as you pass; stopping to share old and new talk with neighbors on their verandahs, or neighbors working in their gardens, or neighbors bringing in their goats, or neighbors pelting mangos from a tree, or neighbors liming on recycled benches; collectively built throughout the community, or neighbors strolling down the road; themselves talking, chatting, calling out their mornings, evenings and nights. I carry a bag on these strolls down the road, knowing gifts are shared along the way; an arm load of ripening mangoes, a handful of plums, a stick of sugar cane, a taste of someone’s food, a bunch of callalloo freshly cut. Friendliness is knowing everyone knows your name or some version of a name meant to be you; “Good morning Sistren” or “bless up girlfriend”, or “you all right Rasta?” or “Maya’s Mommy going for a walk?” or “Stay bless sistah” or “Mrs. Theo where you walking so fast?” or “Guidance Sister Friend” or “Hold tight Daughter”. Cooperation is watching Theo share the upkeep of a cow with his two Rasta brethren; daily figuring out when to cut, gather and transport feeding for their collective copper mama cow. Freedom is the freedom to sing at the top of one’s voice anytime and anywhere; while filling buckets at the stand pipe, or strolling down the road, or sitting at the junction waiting for some friends, or picking peas by the side of the road, or hanging clothes, or getting on a bus. Passion is the nations’ collective love of music, dance, drum anything that propels the body into movement; most of the time conscious some of the time not so conscious, but still a shared vibe of rhythm and movement. Lending a hand is the planning and building of our peach painted community centre that sits proud in the middle of our village, testifying what our village people can do. An array of farmers, teachers, masons, carpenters, artists, government workers, vendors, nurses, police officers, hand crafters, service workers, mechanics fill up our small community; the sharing of assets and skills whether it be a boil that is lanced and dressed, or an old car battery replaced, or a grafted plant cut and shared; or a document to be faxed and carried to town; or tables to be made for the community centre, or signs to be painted for the next week’s bingo, or a drive to the medical station, or a weekend maroon scheduled to break down and rebuild someone’s house. Hospitality is being welcomed or welcoming friends who drop by anytime of the day with no particular reason but to simply acknowledge an innate sense of community. Our yard and home a testimony to this innate community feeling; with daily gatherings of kids of all ages strewn across our veranda sharing the latest news, or taking turns on the “skin up” tree swing; or lying on the floor drawing, reading, building houses with hard covered books. Adults also drop by daily like Theo’s various brothers checking in while quenching their thirst with a glass of water or a shot of rum, sistren friends checking in before heading home to cook, brethren friends wondering if Theo can drop them down the road. And always a pot of food on the stove with more then enough to share for whoever’s belly may be grumbling or not grumbling. I give thanks and praise to community; my extended village family filling me up with teachings of extendedness, of shared humanness, of fearlessness, of pure and simple loveliness. A week ago two men were beheaded in the neighboring community of Baltizar. 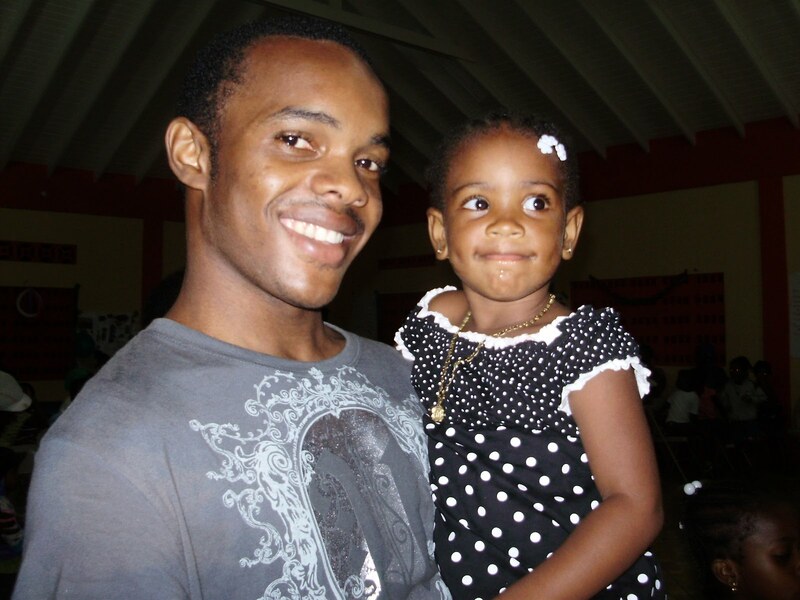 The gruesome murders and the bewildering actions of the man who killed two of his companions has left the parish of St. Andrews and Grenada on a whole shaking our heads in disbelief. I find myself drawn to this terrible story with incessant thoughts of how and why this could happen. I believe the close proximity of the murders ( just around the corner from the village); the accused and two dead men familiar faces in the larger community of Grenville; and knowing the three men’s neighbors, cousins, friends and acquaintances has me turning over the layers of a horrific story that cannot be understood in any logical form. If I had received this news from another part of the world, or another Caribbean island, or even another part of Grenada I would have shook my head in disbelief and made a quick judgment; the man must be crazy, insane, mad. For a few days my mind believed these judgmental thoughts; how else does one explain the beheading of two companions, putting the heads in a bucket, carrying them to the Grenville police station and dumping the heads onto the counter of the station. Insanity. Crazy. Madness. After witnessing the chaos in Grenville during the first preliminary hearings; watching the man who beheaded his two companions run up the court house before an angry mob; seeing his lowered face, his neatly pressed white bleached shirt and a face which I recognized immediately from the many familiar faces in Grenville; I no longer held on to the view that this man is mentally deranged. Perhaps for those hours or minutes it took him to do what he did his anger transformed him into a rage of unimaginable consequences which led to psychotic actions. But a history of mental illness, so far, has not been part of this story. This leads to my incessant thoughts of why people do what they do and what causes some to enter unimaginable acts of rage. Witnessing some of the kids here in the village being raised by a constant diet of verbal, emotional, and physical abuse I can understand a little more clearly why many of the boys here in the village grow up unable to control their anger and lash out with violent words, or sharp edges of broken bottles, or cutlasses that turn from a gardening tool to a deadly weapon. It is common to hear boys and men throw out violent words such as, “I chopping you!” I can’t help wonder how hearing and saying these words over and over may create a worn out groove in the crevices of one’s mind and then maybe one day the cutlass is there and the anger has escalated to a place it has never gone before and suddenly the cutlass is swung, a hand is dangling or a head severed. Of course last week’s case is different as it all seemed so planned and contrived and thus the questions go around and around. What made this man chop two of his companions heads off after an afternoon of sharing drink and food and helping with the evening garden chores? What made this man move into the evil acts his mind must have been immersed in for awhile? What made him kill and remove the heads of his companions, put them in a bucket, get into the van of the man he just beheaded, travel to the police station with two heads, and eventually dump the two heads onto the counter of the Grenville police station? Was this man haunted by his need to be seen, heard, taken seriously? Was he silently screaming “No more will I be silenced. No more will I be shamed, laughed at, treated like a ‘stupidy’. No more will I be invisible, without a voice, kicked aside!’ And why are many of us able to control such rage and others not? Rumors fly about like evening fruit bats unable to recognize their surroundings until the last light of day is smothered. And even in the smothering of light no rumor seems to answer any of the above questions. I believe we are all born with basic goodness and what happens after we are born molds us into the beings we evolve into. What is this fine balance between those who find themselves in prison for atrocious acts against humanity and those who find themselves working for the betterment of humanity? Such complicated questions, such hard places to go and reflect on. However, there we must go in order to wake up to what we all have within ourselves, great bounds of kindness but also great bounds of potential violence. Papa God is what I refer to as a colonial God. A God that I have a difficult time believing in. A God that Maya hears about regularly. A God that causes hurricanes and earth quakes to kill people who are dealing in wicked ways, a God that sends people to hell for not kneeling down and praying before bed, a God that favours one skin colour over a next, a God that strikes down dead a husband and wife for lying, a God that means beat your kids into submission when he is quoted, “spare the rod, spoil the child”, a God that enters our house regularly. A God I find great difficulty in facing with calmness and compassion. A God, however, that provides great opportunity to practice patience and courage. I deal with him the best way I can by trying hard not to condemn other people’s beliefs in his authoritative, patriarchal and fearful ways but to teach alternative perspectives, alternative ways to pray, to love, to forgive, to listen, to praise…. The first time Papa God entered our house was when Maya came home one afternoon from up the road with her Father. When I ask, “Why the scrunched up face?” She tells me she has been watching an “old time bible” at the shop with the rest of the kids. She says the Bible was full of pictures. In one picture she describes the devil stabbing a black man with a funny looking cutlass. Maya says, “Azuka tell me not to be afraid, she say ‘Maya why you frightened, girl? You don’t have to frighten. God don’t strike down white people.’” Maya bursts into tears. I let her cry, wondering what she must be thinking. Is she thinking that her father will be punished mercilessly if he does something wrong in the eyes of Papa God? Is she thinking of all her friends and family here in Grenada and abroad who do not share a skin colour that enables them to live when mistakes are made? I ask Maya again why is she crying and she says “Mom, I am not white; I am honey!” I hold her and tell her firmly I do not believe in this God and that my God, our God is an all-loving God, a God who embraces all people, a God that believes in coexistence with many people’s versions of God, a God that loves everyone equitably and equally, a God that is male and female, a God that believes in kindness as the basis of all religions. “Like the Dalai Lama, Mom?” “Yes like the Dalai Lama”, I say, “And like Jesus and like Buddha and like Mother Teresa and like…. Papa God enters our house occasionally these days; however not with as many emotions attached. We watch him come in calmly, offer him a seat, sometimes tea and then watch him transform as we replace him with a more loving, compassionate, nurturing soul version of God available to all of us worldwide if we would only look in the unexpected places in the many ways we find to kneel and kiss the ground.